Join us for a complimentary CLE on stopping overseas competitors from using the stolen trade secrets of U.S. businesses, then stay for beverages, appetizers and a networking happy hour amidst compelling Computer History Museum exhibits. This seminar will address the comparative benefits of using federal trade secret law or the ITC to address the problem of global technology firms competing against their own trade secret technology, stolen by overseas companies from foreign partners or foreign employees. 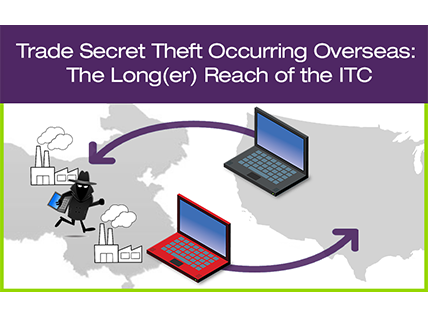 While the unfair acts may be outside the reach of US trade secret law, they may still be within the grasp of the ITC. Jointly hosted by Adduci, Mastriani & Schaumberg and the Silicon Valley office of Merchant & Gould. An application requesting 1.5 hours of general MCLE credit for this activity is pending for approval by the State Bar of California.